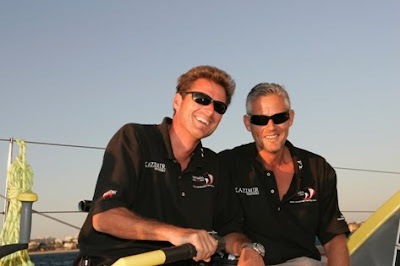 Bahamas-based South African sailor Lenjohn van der Wel today confirmed his Team Entry in the 2011-12 Global Ocean Race. Van der Wel and his brother Peter - both former superyacht captains - started the 2008-09 edition of the race but were forced to retire into Cape Town shortly after the start of Leg 2 with a variety of issues onboard their Class40 Kazimir – Ocean Warrior. Van der Wel’s Class40 is an Owen-Clarke designed Express 40, built for him in Cowes, Isle of Wight, in 2007. She is already fully equipped to Category 0 race standards and her popular skipper is now putting together the operating budget for his Global Ocean Race campaign. Brother, Peter van der Wel, will race onboard as co-skipper for one or two legs and will also be boat captain overseeing every detail of preparation for this highly competitive event.